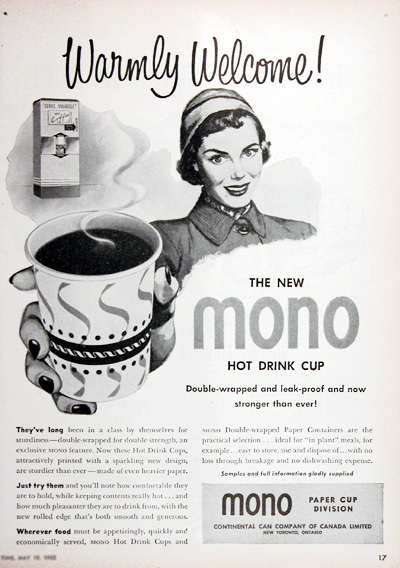 1952 Mono Paper Cups original vintage advertisement. Featuring the new Hot Drink Cup. Double wrapped and leak proof and now stronger than ever! Made of even heavier paper.